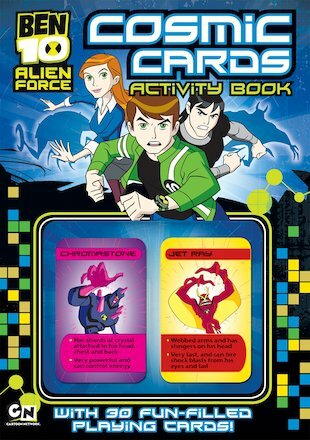 Now fifteen years old, Ben Tennyson once again turns to the Omnitrix to save the world from a sinister new threat. Get in on the action with this cool gaming book! Test your mission knowledge with activities and puzzles, and use the character profiles to get the lowdown on the good guys – and the bad ones. And when you’re ready for battle, leap into the fray with 30 fun-filled playing cards for awesome games including Alien Snap! It’s time to go hero!